life collection: "Just down below me is the old sea"
"Just down below me is the old sea"
I love my day planner, isn't it cute? I got it at Target in the back to school section, it has a ton of room to write things down for each day which is what I need. I'm trying to come up with blog and newsletter ideas today. We'll see how that goes. I'm at Starbucks with Ronald. He is outside on a conference call since it is too loud in here. Poor guy. I miss him so much these days. He is just so busy we hardly have time to catch up, actually, we don't have time to catch up, and so I'm trying hard to keep myself pulled together and not freak out and sulk at how much I miss my man. He has to work Saturday but has Sunday off so we will have a bit of time together (woo). Remember how we ordered Ikea furniture last week? Well, it is going to be delivered tomorrow night! I'm dying with excitement. Only downside is we won't be able to put anything together until Sunday, so I may not even have a couch to sit on Saturday because I think we are moving our old one to the garage. Oh well. I have tried to put Ikea furniture together by myself and let's just say that was a terrible idea. Anyway, I should really stop blogging and start writing down ideas of things to blog about...hehehe. p.s. Did you notice I put some of my favorite blogs on the sidebar? Check 'em out! 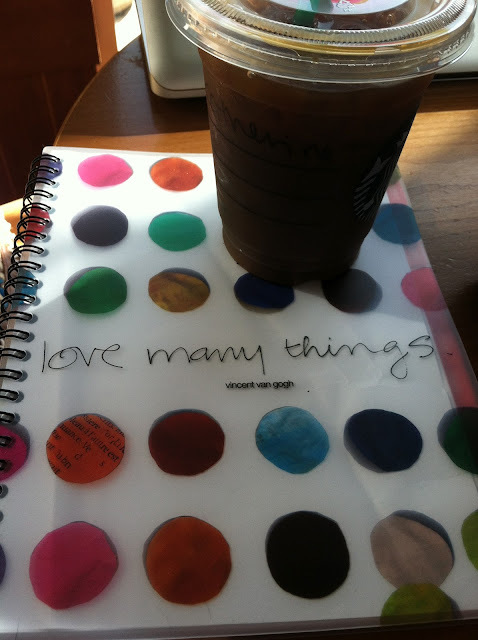 That planner is too cute. And you did a fantastic job with the newsletter! I used to make Mason homemade dog food because he wouldn't eat regular dog food. I later realized that he was just being a baby and he eats dry food just fine now. I was doing more cooking for him than I did for myself! Oh I'm glad you liked the newsletter! I love the newsletter! I also want a planner. I have one.. but it's more like a journal. I just write what I did the day before. What does Ronald do for work? Conference call sounds so professional!! I hear you on missing him. Right now I work Mon-Fri 9-530 and Joe works 3-close at the restaurant every day except Saturdays/tuesdays. I feel like I hardly see him and on the days he doesn't have off it's hard to catch up, if we even do. :( I miss him so much!!! Glad you liked the newsletter! Ron works for the family business. He does safety training and consulting. Basically, making sure people are safe at work. It's a really great job but since it's a family business he never really gets a full day off. Even on our honeymoon he had to work from his computer. But we get great benefits which is good. I have a ton...TON of planners/notebooks. And I start to write in them and quit lol. I do have one for school though, that I use. So that is a plus! Aww, thanks for putting my blog on your sidebar :] That reminds me that I've been wanting to update mine for quite some time because I've become friends with some really great bloggers, like you for example! I love your planner. I also just bought one that has cassette tapes all over it. Yay for planners! Good luck with the ikea furniture, that's so exciting. And of course, you must take lots of photos for us.